American Chamber of Commerce of Mexico, A.C. is an independent nonprofit organization with no political affiliations and our mission is to promote trade and investment between Mexico and the United States. 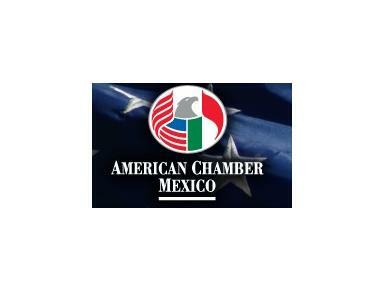 American Chamber/Mexico was founded in 1917 and today groups more than 1,500 companies from the United States, Mexico and other countries, covering all sectors and sizes, as well as more than 10,000 high level executives. Our members account for almost 70% of direct investment in Mexico from the United States. The mission of AmCham is to serve its members by influencing public policies in Mexico and in the United States, promoting trade and investment, and fostering a socially responsible business environment. Offers access to privileged information. Facilitates discussions about relevant topics. Promotes meetings with key authorities from both countries. Elaborates institutional position and white papers. Influences public policies to improve the business environment. Facilitates networking to promote business and trade opportunities. We work together with the government and private sector to put forward measures to boost Mexico’s competitiveness, attract new foreign direct investment and maintain the investment we already have. We help members develop business opportunities and contacts through our worldwide network of 107 AmChams and over 2,000 chambers and associations in the United States. We promote trade and investment through our information, macroeconomic analysis and forecasting, business development, supplier development and investment project development services. We analyze problems faced by different sectors and propose solutions through our network of 22 committees and four task forces, comprising top level executives from the country’s leading companies. We hold more than 40 events every year on a range of topics focusing on business, the economy and bilateral ties between Mexico and the United States. We support and promote the merits of free enterprise, the free market and the free flow of investment for the social and economic development of countries.